I have been so slow about getting this posted! Please forgive me. 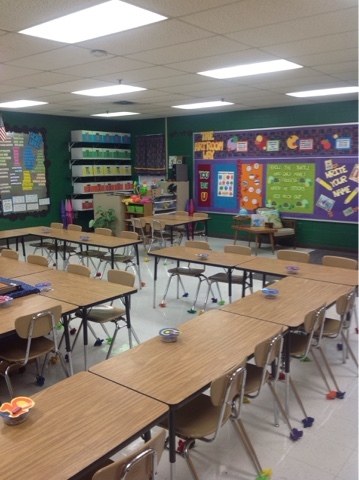 So here is a look into my classroom this year! 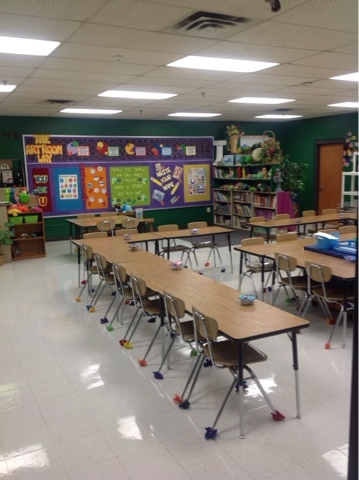 I do a different color theme every year in my room...this year it is BRIGHTS! It overwhelmed me at first because the past two years the colors have been much more subdued, but we all need a jolt to our system from time to time! ha ha Feel free to leave a comment, email, or contact me on social media if you have any questions. A few from the supply closet. A view from my supply shelves. 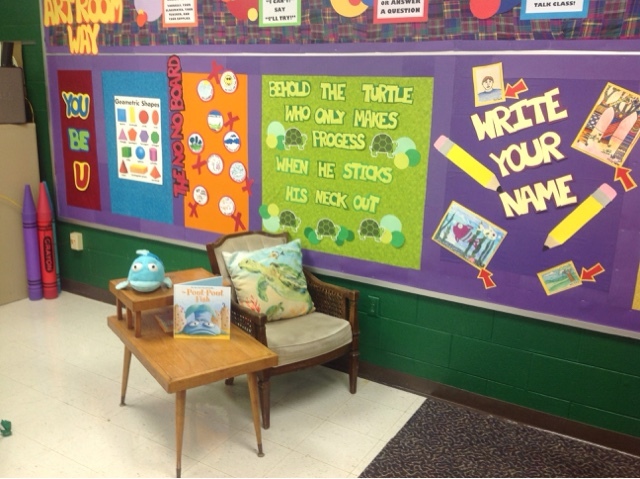 Here is my reading area! I read to my kindergarten students every time they come to art! I've had 20 yrs to collect all these books...grants...parent donations...and my family giving me sets of books for birthdays/Christmas. It takes time, but a great classroom library is worth it. The little table was made by my dad when he was in high school! It is special to have something made by his hands in my space. The chair...has seen better days! ha ha I got it at a yard sale about 16 yrs ago for $5!! I'm actively looking for a funky new one! This is how I store student art work for the 9 weeks. 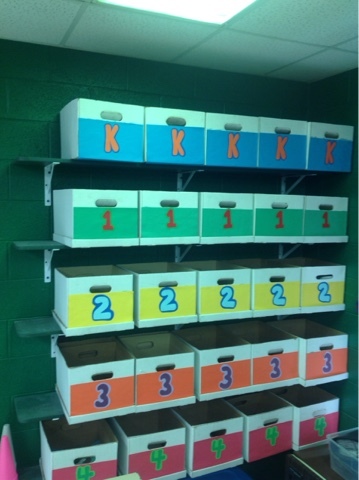 Each class has a box. 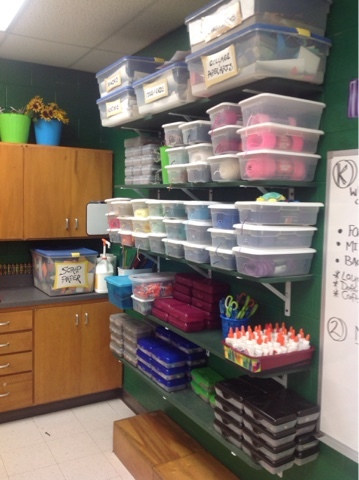 It keeps visual clutter down & keeps things organized! I've had these boxes for about 6 years...maybe more? Art Shirts! 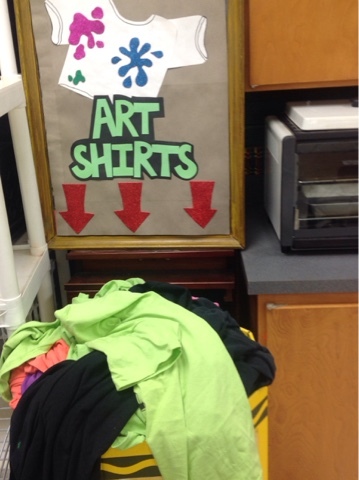 I have people donate t-shirts for us to use in the art room. They work out great. We have a washer and drier at our school so I can keep up with them!!! 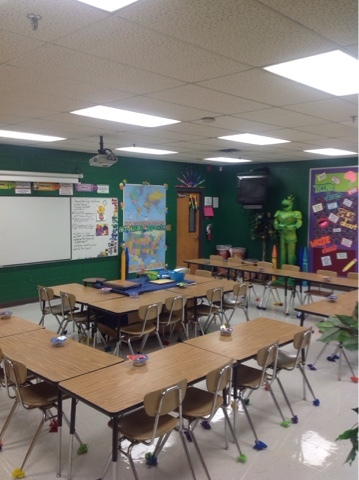 I painted the knight GREEN!!! I LOVE IT!!! I've wanted to do that since I "adopted"
him. The kids noticed right away the first week of school. Word Walls...still in fashion? I like mine. 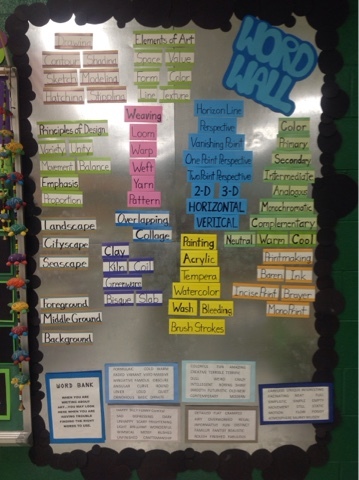 I use the words on magnets and move them over to my example board when the words go with what we are studying. 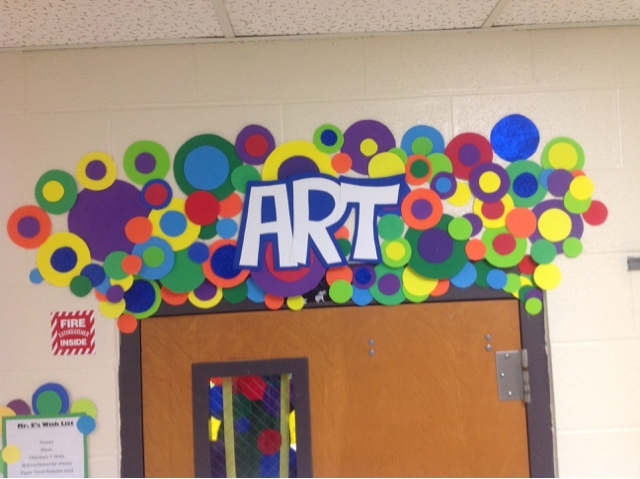 Plus..the word wall acts as a word bank when we are writing about art that students can use. 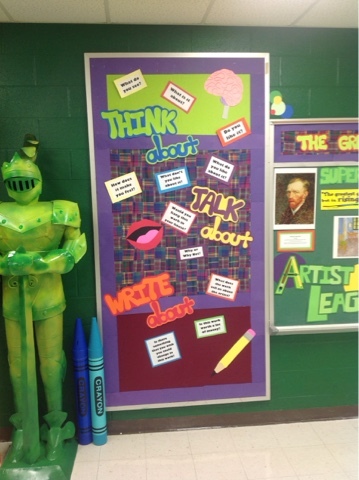 This is my THINK ABOUT, TALK ABOUT, WRITE ABOUT board. 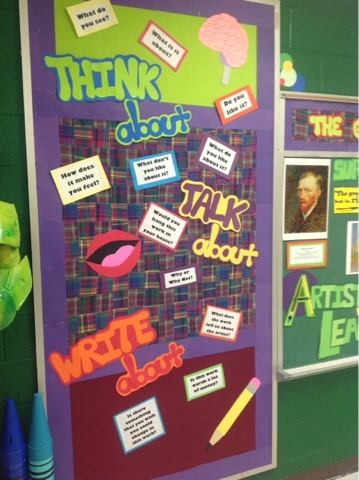 I have questions to get students thinking about their work & the work of others. I did a post about this board a day or two ago....I LOVE IT! Every year I redo above my classroom door with foam to match my color theme I use in my room. . It stays bright and colorful all year & sets my room apart from others. 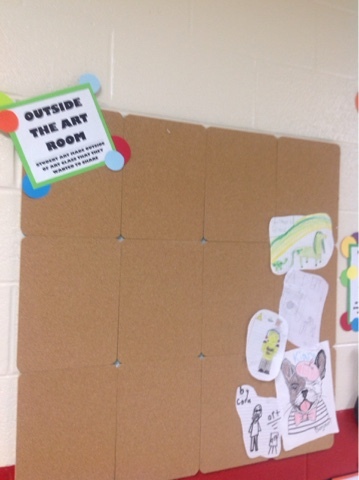 This is my " OUTSIDE THE ART ROOM" board. It is literally outside the art room. 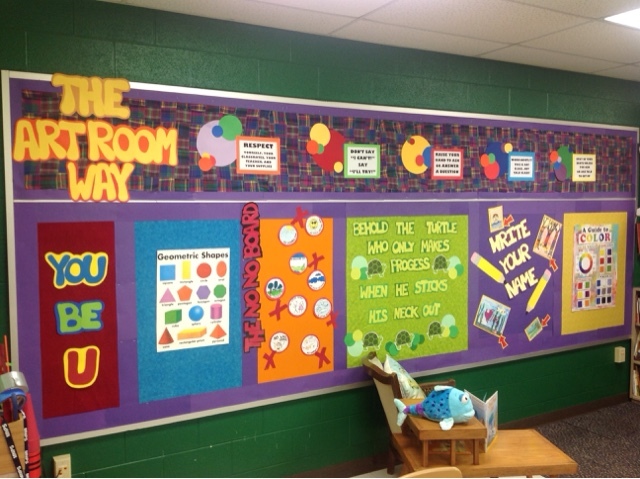 This is where I put the pictures kids make me at home or at recess. 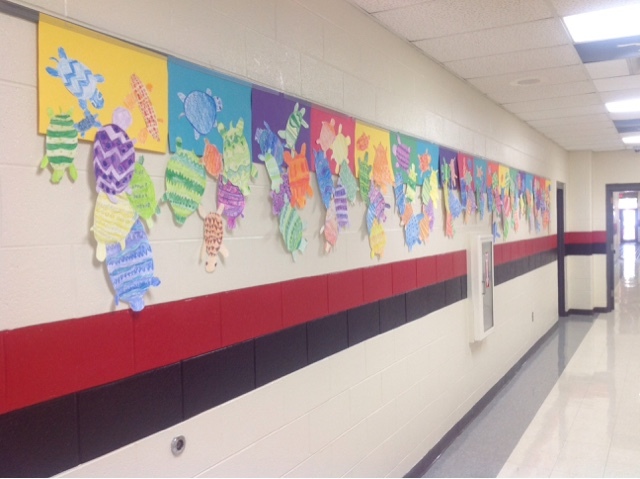 They are always so proud to see these pieces displayed. HOPE YOU ENJOYED THE TOUR OF MY ART ROOM!!! 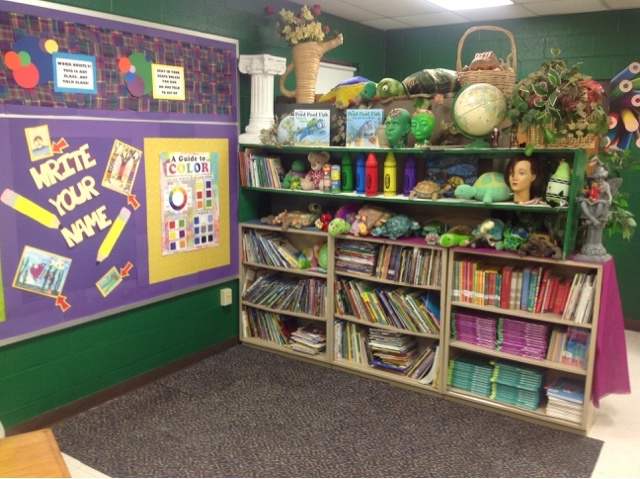 You art room looks amazing!